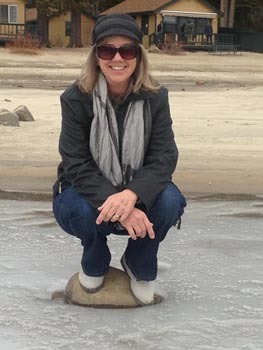 Diane C. Shore lives in San Ramon, CA with her husband Jim of more than 40 years. They are enjoying these years together after raising three sons, and now being the grandparents of six. Writing and sharing stories about God is Diane's passion as God continues to lead her and show her new ways of how He expresses His love toward us each day. Whether it is sitting one-on-one with someone, or speaking to a group, Diane is excited to boldly proclaim the Good News of Jesus Christ and how He works in our daily lives. Thank you for reading my books. If you enjoy them, won't you please take a moment to leave a review with your favorite retailer? With unclenched fists, we’ll let go of the way it’s always been. Open hands prepare us to receive the gifts of the Father. When Jesus asked the blind man, “What do you want me to do for you?” He immediately responded, “Lord, I want to see." He could have refused the healing…he could have said, “I like not seeing what others see.” But he’d lived that life. He was ready for a change! Satan cannot separate us from the love of God, but he can wreak havoc with our freedom. How do we live the full, abundant, and healed life with the enemy in our midst? To not be devoured by our adversary, we need to use every weapon made available to us as described in the Bible. Satan is a clever one, but Jesus is so much Greater! In "What Do I Want? ", Randy and Linda are being asked the same question; “What do you want me to do for you?” Will they want the abundant life Jesus offers? Are they ready for something new? Find the answer to these, and many other questions, when you read "What Do I Want?" 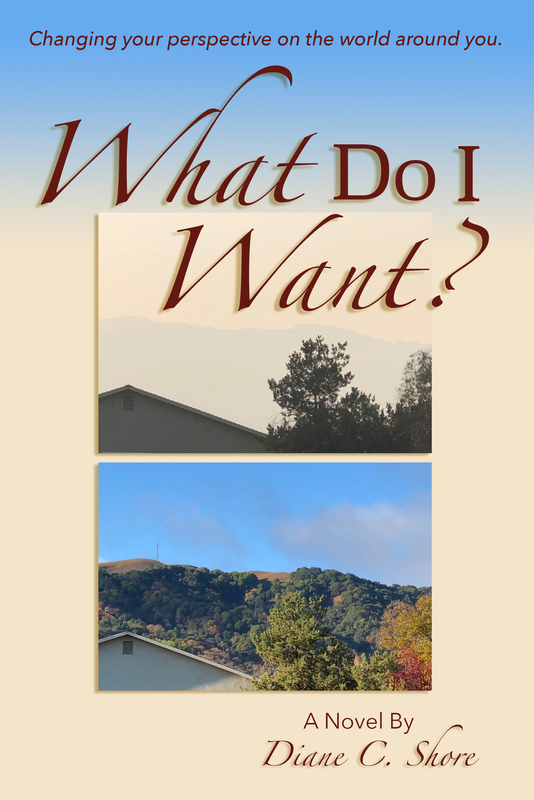 Get a FREE excerpt from “What Do I Want?” spanning the First Three Chapters. 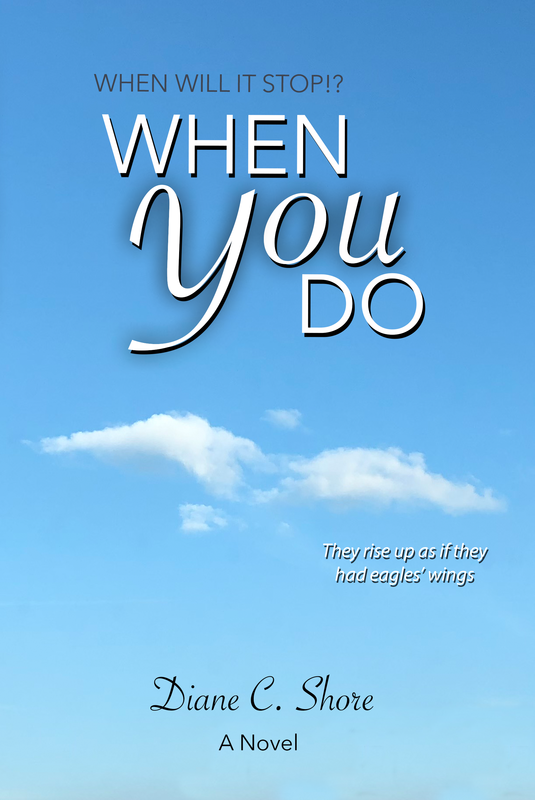 Get a FREE excerpt from “When YOU Do” spanning the First Three Chapters. ROSIE I and ROSIE II took us through relationships involving mentoring and discipleship. This time, we get to spend time with Rosie in fellowship. When iron sharpens iron, it’s a wonderful display of God’s family sharing the love of Jesus, and the love of earthly relationships. With time in Lake Tahoe together, Rosie and Scott soak in the beauty, relax, write, eat, and share the Good News of Jesus. Hidden within the pages of this book, is a novel in the making. As two stories intertwine, there’s joy and heartache, peace and struggles, renewal and challenges, and so much more. In the end… well, that would be giving it away. Get a FREE excerpt from “ROSIE at the lake” spanning the First Three Chapters. When Melanie flew to Tennessee to see her brother, she never expected to be calling on Rosie to join her on the flight home. As the plane climbed high into the sky, Melanie searched for answers, as piece by piece her family’s history unfolded before her. Trying to make sense of it all was going to take time. Someone needed to dig deep and do some research. Join Melanie as the truth about her family is revealed, as is the Truth about her God. Join Rosie as she once again disciples a sister in Christ, with patience, love, and prayer. Get a FREE excerpt from “ROSIE on the plane” spanning the First Three Chapters. Independent and capable Rebecca. Since her divorce, she has been managing on her own just fine. Yet, beneath the surface, Rebecca struggled. Life was hard, disappointing, and filled with pain and unmet desires. Others seem to cope with the difficulties of life and appear to be happy and content. Why were these things beyond her grasp? Life was so lonely and uncertain. With what seemed to be one small change, Rebecca heads into something new and surprising. Would she allow her heart to be open? Would this new direction offer her the answer to her deepest longings? Would it be enough to fill the emptiness and bring healing to her battered soul? Get a FREE excerpt from “ROSIE in the garden” spanning the First Three Chapters. Who might have need of this book? Anyone fighting an illness, or helping someone who is. Mourning the loss of a loved one, money, home, or job. Those in need of comfort for enumerable reasons. The list goes on and on in this crazy world today. So many may feel they are in a place that is impossible to move on from—but with an open heart and mind to God, ALL THINGS ARE POSSIBLE! Jesus doesn’t want us in a pit of despair. He wants us to be in His arms of care. Grief seems an impossible journey when we first start down that long hard narrow road. It seems much more a destination we have arrived at, rather than a place we will travel through. Getting stuck in the darkness is tempting and almost seems right. But with Jesus, there is a way through and out of that darkness. In the pages of this book, I share many of my own trials and triumphs on the grief journey after our sixteen year old son lost his battle with Leukemia. Although I was nowhere near finished during this second half of the first year of grief, I was beginning to learn how to use many of the tools God had shown me through the first half of the year, tools I shared in “It Started in the Dark.” Each book can be read separately. Book one contains more of the devastation. This book contains more of seeing Jesus’ Light and Hope at the end of such a dark tunnel. We can move from questioning to knowing, from doubting to believing, and from hurting to healing with an eternal focus on our Savior. Get a FREE excerpt from “It Ended in the Light” including A Word From The Author, Introduction, Preface, and Chapter One. We all want to see God, don’t we? It would make it so much easier to believe that God really exists if we could actually see Him…and yet, when He does show up in our day-to-day experiences, do we notice Him? Do we acknowledge Him? Do we thank Him? Or do we just chalk these extraordinary events up to luck? Coincidence? Or our stars aligning just right on that day? God is very active in our lives, if we will be available to see Him. God let me know we have to be looking for Him to see Him in our every day, otherwise we can miss the very subtle ways that He loves on us. Since these writings now come to you from the room in our home I call the Sand Room, because of its color and the décor, I thought maybe it would be part of the title of this new season of writings. I didn’t know how, or what SAND would mean, and God just gave it to me through opening of A book. We have to be: Searching And Noticing the Divine. God is already meeting me here in the river! “But as soon as the feet of the priests who were carrying the Ark touched the water at the river’s edge, the water began piling up…” Joshua 3:15,16. Thank you Lord Almighty!! You are awesome!! If you would like to be a part of this new adventure in writing, please follow this link to TheSANDRoom! How does a person go from Questioning to Knowing, from Doubting to Believing, from Hurting to Healing? There are no easy answers to the questions above, except for Jesus. He is the answer to all of life's questions because He is our Hope. The question then becomes, “How do we find our way into His Hope?” That is what this Travel Guide is all about--it is about your personal journey into the Hope of Jesus. In “It Started in the Dark,” I share my journey with you. Now you can share your own journey in this guide book. It can be a long way from the darkness into the light, but it's never impossible when you have Jesus. He came to bind up the brokenhearted and to set the captives free. Share your experiences with others in the group you may be traveling with, or if you are traveling alone with Jesus, that is fine, too. He is happy to be your Guide as He leads you into His hope for today and for all of eternity. A true story of what Jesus can do with broken heart. We all experience grief of some sort in our lives. Where do we find the healing and answers we are looking for? Will our joy return one day? Will the pain ever stop? How do we not give up? With Jesus, we not only have an eternal Hope in Heaven, we also have hope for each day we live. We can find that Jesus is more than enough! What starts in the dark can truly end in the light. Get a FREE excerpt from “It Started in the Dark” including A Word From The Author, Introduction, and Chapter One.